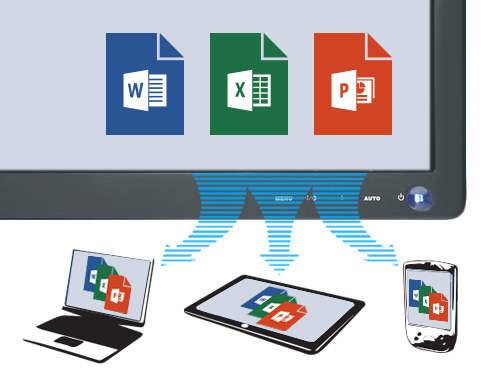 File sharing for corporate environment with Office 365. Share files with your teammates and sync files between computers in a secure environment. Collaborate online in real time. With SharePoint Online you can share files, documents and folders with your colleagues and work together online or on the desktop. Sync files between computers and have the same version as everybody else. Manage the access level yourself - give permissions from read-only to the possibility of editing documents, with sharing options that are available on the SharePoint when you work online and your OneDrive desktop application in case you work offline. Give access to an individual or an entire team to read or edit separate files or folders. Share documents in a secure environment. The highest-level privacy and security of your data is guaranteed by Microsoft. No additional file synchronization software is needed. Work together with your teammates or clients no matter if they are in the same room, or on the other end of the world, and save time by collaborating online. Work on your Office desktop application even if someone is editing the same document online. Open the document together with your co-workers and work online in real time. You will be able to see changes made by other people, comment the document and get comments from others for better results. SharePoint allows you to share all the Microsoft Office applications files - documents, spreadsheets, presentations and notes without exporting or importing them. All the Office files are saved in SharePoint in their native format, so you do not need to waste time to convert them to formats working on your desktop applications. Collaborate with your colleagues on proposals, reports and presentations. Create public websites easily with no special knowledge. Organize information, collaborate and socialize online. 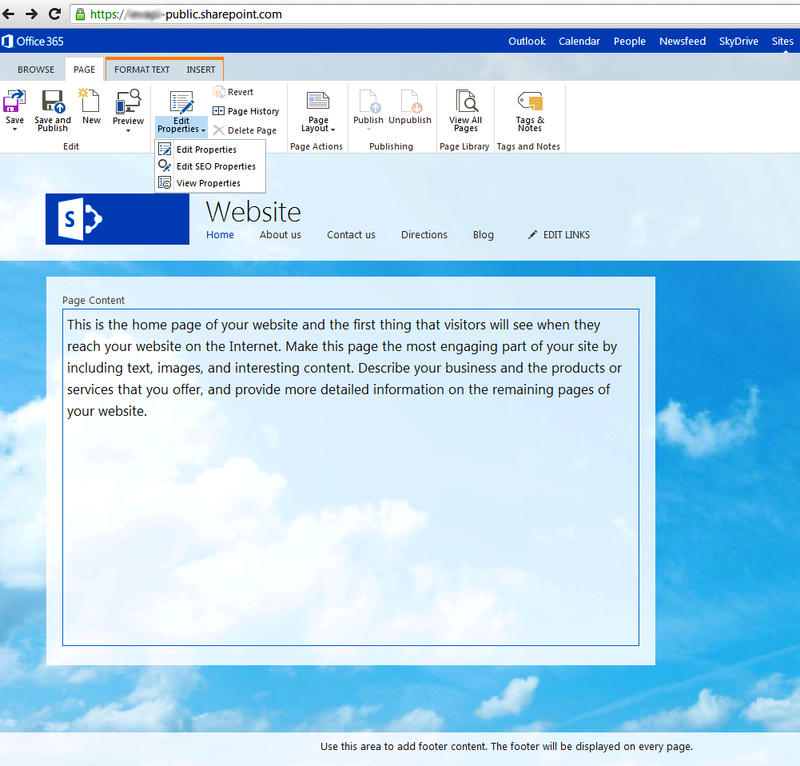 Create and manage your websites with SharePoint Online fast and easy. You do not need to have any special knowledge in coding to create and launch a professional website. Add and remove content any time - keep your public site up to date and attractive to your partners and customers. Create a website for your team and collaborate with all your colleagues online. Manage the website structure to make it more convenient for your company’s needs. Assign sites to different projects, grant access to project teams or single people, create convenient social collaboration spaces and stay in touch with all your colleagues. Organize documents, information and personal access for people according to structure of your company, projects in progress and other ways. Create Project Teams with as much as few clicks and dissolve them, after the work is done. Manage different access levels to secure private information, allow colleagues to access them in the read-only mode or contribute to the documents you create and share. Use SharePoint Online as a social space - create events, update your status, post ideas, share comments, blogs and Wiki’s. Team Sites accessed online look a lot like popular social networks. The well-known environment makes it easier to communicate and track changes made on documents, folders, new entries, and other users activities. Share Files and workplaces with people outside your company. Share files and documents with people who are not a part of your corporate environment online. Send an External User invitation by email, and connect people to your private website by providing them guest rights - collaborate in real time, even if you are in different parts of the world. Manage External Users permissions to allow them to see, edit or even own the shared documents. Use the benefits of online cooperation to save time and money and get the best results. With SharePoint Online you can present your ideas to the customers, get their feedback and even edit the same document together in real time. Website administrators can manage all sharing permissions per users, groups, projects or organization. With that, you can be sure that the content, which is not supposed to be accessed by public is restricted from sharing and will not be leaked by accident.